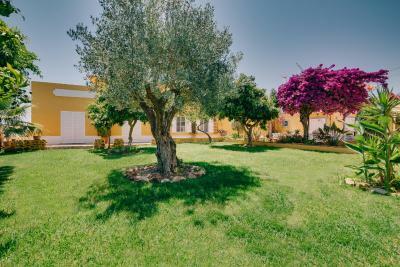 Lock in a great price for Quinta Almargem Lusitano – rated 9.2 by recent guests! Very clean and comfortable . Very very nice staff and the owners were delightful people, welcoming and flexible for the guests comfort. Excellent breakfast. The staff were amazing, helpful and friendly. Freshly squeezed orange juice from this property’s own orange grove was fantastic. The people were so nice and were waiting on us to arrive. They offered us cake and drinks upon our arrival. We were take to our room and were amazed. 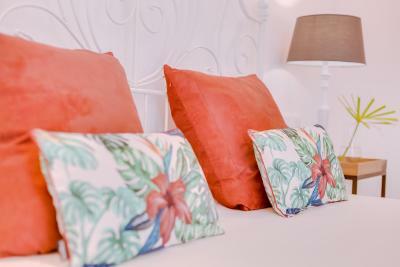 Beautifully decorated, clean, smelled nice and the bedding was soft and comfortable. I wish we had stayed there the night before. I would highly recommend it as a place to stay. The salt water pool was very nice and the place was very quiet. The staff were wonderful. The bed was very comfortable. It is so quiet and peaceful. The location is great. I would be very happy to come back another time. 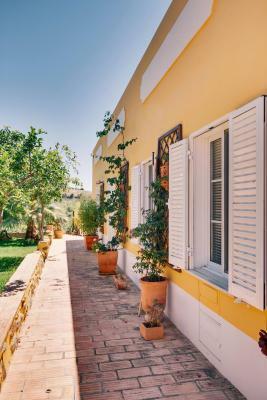 A beautiful house, near enough to Tavira to be convenient but far enough out to make it an extremely tranquil spot. The cleanliness, layout and decor of our room, the breakfast area and the whole complex showed exceptional attention to detail. It was simply a delight to be there and totally relaxing. Breakfast was a real highlight - a superb spread of fresh food, beautifully presented and coffee made to order by a most cheerful lady! We really couldn't recommend this place highly enough. Lovely rural guest house with great gardens and surrounding countryside. Easy drive to the town which has free parking zones conveniently located to the main attractions. Very friendly hosts - they even carry your bags! Good restaurants in the town. 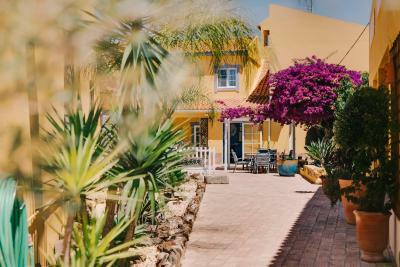 One of our top picks in Tavira.Set in a romantic garden with orange and olive trees, this rural hotel offers a salt-water swimming pool and spacious air-conditioned rooms with a relaxed atmosphere. Guests can discover the Ria Formosa Natural Park, 1.2 mi from the property. 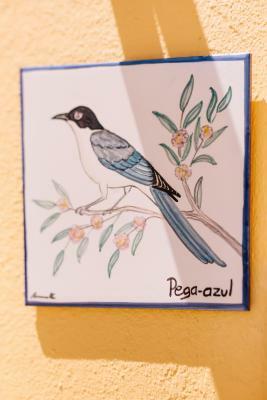 All bright rooms at Quinta Almargem Lusitano come with tiled floors and private bathrooms. 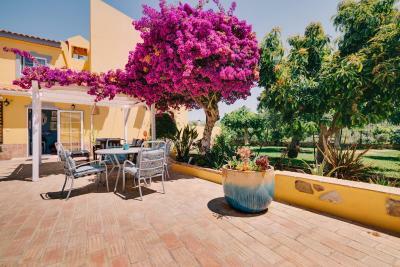 Some rooms open out on to private balconies or patios. The garden's large deck is furnished with beach-style tables and umbrellas. 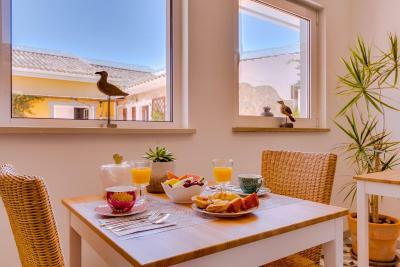 Quinta Almargem Lusitano’s breakfast is served here, while guests can enjoy the panoramic views over the hills and marshlands. Horse riding activities can be organized. 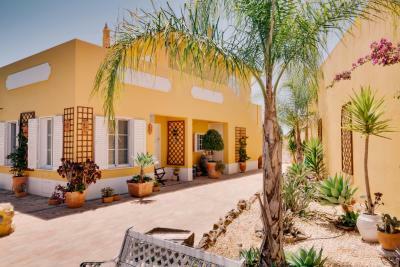 The property offers free parking and is located 3.1 mi away from historic Tavira with its restaurants, bars and boutiques. 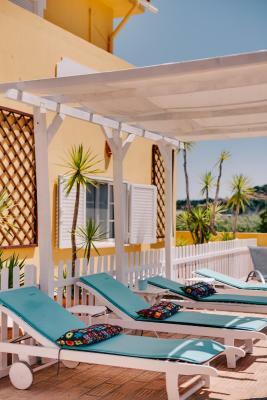 The beaches of Tavira, Cabanas, Cacela and Monte Gordo are less than 5 mi away. 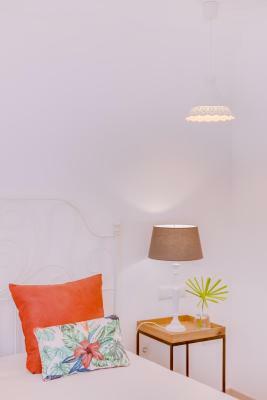 When would you like to stay at Quinta Almargem Lusitano? 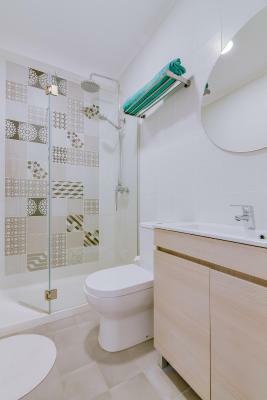 Featuring a flat-screen TV, this spacious, air-conditioned room has tiled floors and a private bathroom. 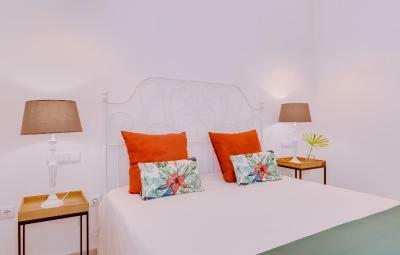 Featuring a flat-screen TV, this simple, air-conditioned room has tiled floors and a private bathroom. 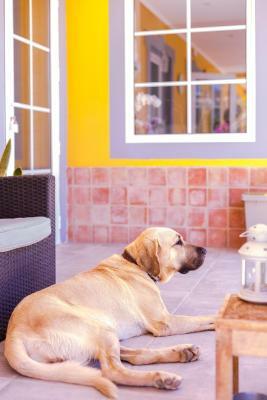 House Rules Quinta Almargem Lusitano takes special requests – add in the next step! Children 7 and older are allowed at this farm stay. Quinta Almargem Lusitano accepts these cards and reserves the right to temporarily hold an amount prior to arrival. Please let Alojamento Rural Almargem Lusitano know your expected arrival time in advance. You can use the Special Requests box when booking or contact the property. Please note that the reception is only open until 18:00. Please note that the swimming pool is unavailable between November 1, 2018 until March 31, 2019. Please note that children less than 12 years old can only access the outdoor swimming pool from 10:30 to 18:00 and it is mandatory that they are accompanied by an adult. Please inform Quinta Almargem Lusitano of your expected arrival time in advance. You can use the Special Requests box when booking, or contact the property directly using the contact details in your confirmation. The hot water took a long time to get to the bathroom. We had July/August temperatures in mid-September. Otherwise all great. Beautiful spot, lovely swimming pool (salt water) with pool side loungers, very relaxed atmosphere. Perfect to get away and chill out. Room (as well as the rest of the hotel) was spotlessly clean. Breakfast was bang on. Staff friendly and accommodating. The location friendly staff cleanliness and especially the extremely comfy bed. 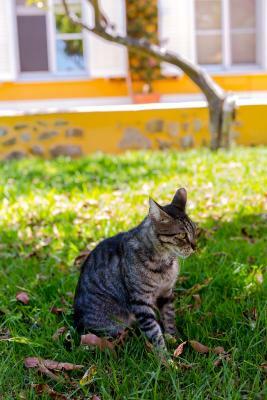 We were very happy at Quinta Almargem Lusitano and there was nothing we disliked. We were received by the owners, with a welcome drink and cake,. Owners and staff impressed by their friendliness and being always available to bend backwards to satisfy us to the smallest detail. 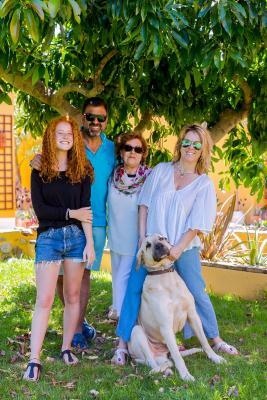 We were very happy at Quinta Almargem Lusitano and recommend it to anybody. At departure we were greated good bye by the owners at the car park. Fantastic stay. The place is cozy and charming. The room is nice and clean. Breakfast is delicious and everybody very nice! 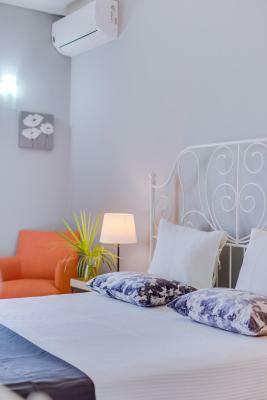 It is important to Choise a good room before booking because there are different size of rooms. Clean, very very Nice location and comfortable. Excellent Breakfast. Relaxing place, out of the crowded and old city centre. Well Done Almargem! 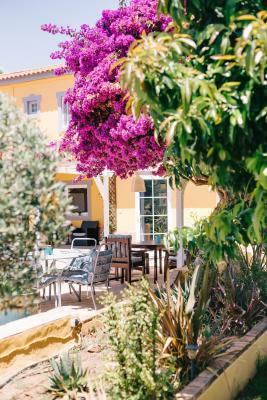 We do like to be able to explore on foot and this property is just a little too far to walk into Tavira. 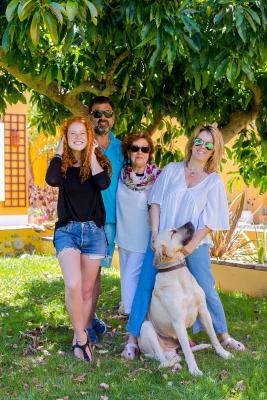 However, Lina’s husband very generously gave us lifts when he was there, to Tavira, Santa Luzia and Cabanas and taxis are cheap and plentiful so the location is not a problem. 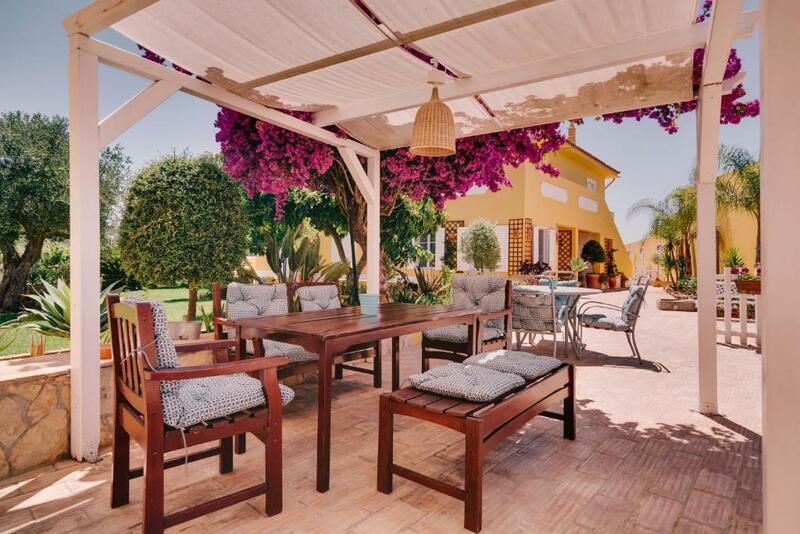 The property is beautiful, tastefully decorated, very clean and spacious. Facilities are great - the pool is lovely, breakfast is delicious and plentiful and there is a shared fridge to keep wine/beer/food in. The staff are very helpful, they did some washing for us, and Lina and her husband are so friendly. Can’t recommend highly enough. Very friendly welcome by the owners! The place is very quiet, which was totally what I was looking for at the time. 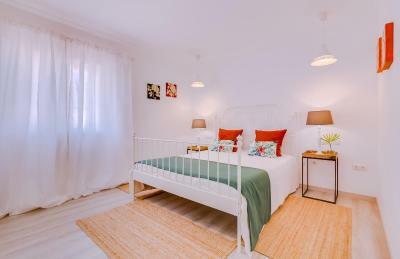 It's barely 10 min out of Tavira, so access to the city center is easy, and it and has a nice, comfy country athmosphere. The pool was clean and not overcrowded, the terrasse is quite pretty and has a nice feel to it, with a local cat lazing around, chillin in the shade^^ Room was good, comfy, pretty silent, with a well-equipped bathroom, and a TV boasting many many channels! The breakfast was great, and had fresh fruit, pasteis de nata, eggs and so on, all served with a smile. The staff is very accomodating, and helpful with requests or advice about what to do in the area! All in all: friendly, clean, quiet, comfortable, for a reasonable price Great find!!! 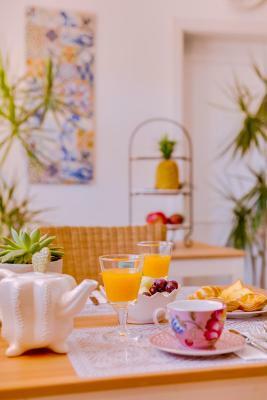 Breakfast was excellent and the location was quiet and beautiful, the room was clean and comfortable and the airco worked well. Staff are amazing, everyone wanted to help, my partner and I are vegan and the owner/Manager went out of her way on a number of occasions to help us. Wi fi did not reach our room. There was some noise that could be heard in the corridors, nothing serious but not 100% perfect sleep every morning. They should put signs to be quiet in the corridors.